One Pair Of Bike Glasses To Rule Them All? I hate getting ready to ride my bike, be it for a Saturday spin or as my commute to work. Where’s my flat kit? Are my water bottles clean? Do I need a rain jacket? And on it goes. Getting out the door takes 20 minutes, if I’m lucky. I’m telling you all this because one part of my riding prep just got a lot easier thanks to the Julbo Renegade glasses. Instead of finding my roadie bike dork glasses for the weekend ride, then switching back to my non-dork glasses for the commute, or for lunch, I just wear the Renegades everywhere. 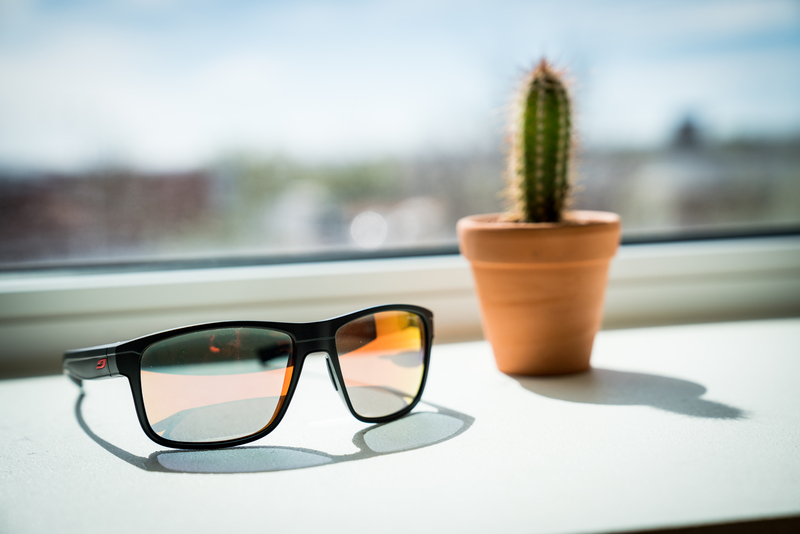 They’re amazing on the bike thanks to an ultra-lightweight build, great eye coverage, big rubber grippers on temple and nose, and photochromic lenses that change with the light. I live in the desert of the Southwest where you’ll die without sunnies and the Renegades get just dark enough to take the edge off, then lighten quickly enough to ensure I don’t go rubber-side up from hitting a piece of trash sitting in the shadows of an underpass. And while the the colored lenses on my pair do scream bike dork just a little, the square frame design is muted enough that I don’t get second looks if I wear them with jeans and a button down shirt. At $190 they’re a big investment, but totally in line with other cycling glasses and actually a money saver if you, like me, were using two pairs to start.